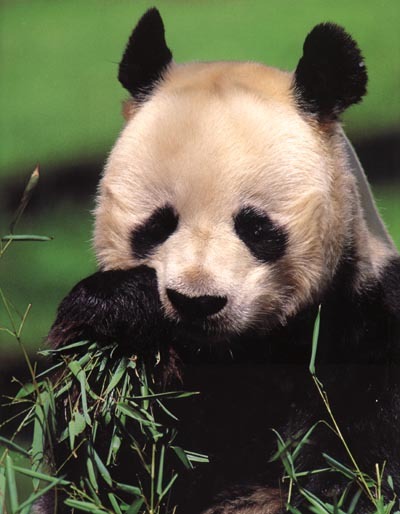 Wild giant pandas are found only in southwestern China. They occupy 6 small forest fragments in the provinces of Sichuan, Gansu and Shaanxi. (5,400 square miles). They inhabit damp, misty forests of bamboo and conifers. Their preferred habitat has dense stands of at least one species of bamboo (preferably more). They are found at high altitudes (4,000-11,500 feet). They migrate higher in the summer, lower in the winter, preferring areas that are undisturbed by human activity and with access to clear mountain streams. Summers are cool with Monsoon (torrential rains) occurring from June to October. Snow and hail are common in winter.